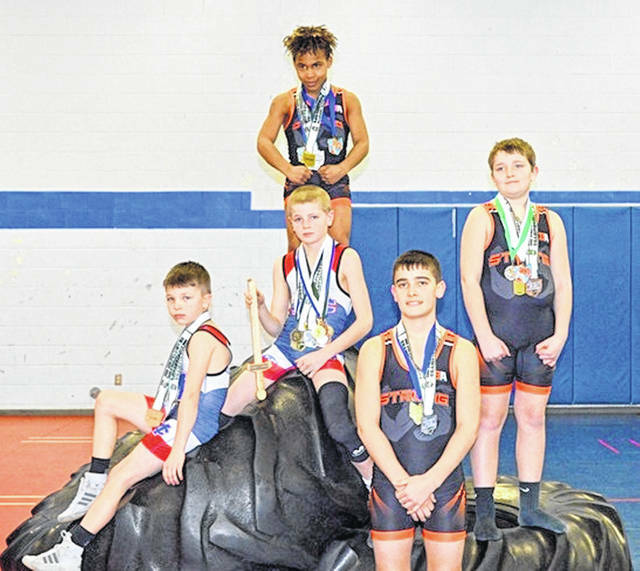 Five wrestlers from Clinton-Massie and Wilmington have qualified to compete in the OAC Grade School State Championships Saturday in Youngstown. Connor Musser and Hunter Lance wrestle for Clinton-Massie Youth Wrestling. Josiah Puller, Eli Hibbs, and Bryson Schutte wrestle for US Strong. These boys have put in a lot of hard work and dedication this year to accomplish the goal of attending the OAC Grade School State Championship, according to a press release. In the photo, from left to right, front row, Hunter Lance, Conner Musser, Bryson Schutte; back row, Josiah Puller and Eli Hibbs.